Our blog and mailing list of work great for the last couple of years, but it will be much easier for potential attendees to find us and join us over on Meetup.com. Please join us on the Meetup page, make sure to “join” the group so that you get messages about upcoming dates, RSVP, etc.! We meet at lunch time (!) to talk about all things Angular. Usually one Wednesday per month.Sponsored by, hosted at: Oasis Digital, near Manchester and 270. The next St. Louis Angular Lunch will be Wednesday, April 25, 2018 at 12:00 pm. We will be having a round table discussion about NG-Conf and all of the news from last week. Oasis Digital / Angular Boot Camp Team and others who attended. 1630 Des Peres Road – one building north of the Oasis Digital office location. Please RSVP to the mailing list to help us more accurately estimate meal and venue setup. Oasis Digital will supply the meeting space, pizza/drinks, and projector. We hope to see you at our next Angular Lunch! The next St. Louis Angular Lunch will be next week on Wednesday, March 21, 2018 at 12:00pm. We will cover examples of how progressive web apps can improve user experience. Combined with ideas such as caching, offline support, and lazy loading, we can make a great mobile user experience. The next St. Louis Angular Lunch will be next week on Wednesday, January 18, 2018, at 12:00pm. The next St. Louis Angular Lunch will be next week on Wednesday, November 15, 2017, at 12:00pm. This month, Kyle will demonstrate web components / custom elements as a way of building cross-framework widgets that sit underneath an Angular project but which aren’t Angular-specific. We will see how to build a simple web component with Stencil, and talk about the growing trend of framework-neutral widgets as a solution for sprawling organizations which inevitably use every major framework. The next St. Louis Angular Lunch will be next week on Wednesday, October 25th at 12:00pm. High quality single page application frameworks such as Angular deserve data servers of equal measure. Loopback is a JSON REST server that emphasizes declarative syntax and configuration over hand crafting each HTTP verb. In this talk Andrew will provide an introduction to Loopback and demonstrate how it can be configured to provide access to your application data. Andrew Wiens, Oasis Digital Solutions, Inc.
1610 Des Peres Road, suite 150. Oasis Digital’s offices. Rather linger over Angular in the evening? If lunchtime Angular doesn’t fill your appetite, consider attending the “St. Louis Angular Meetup”, held on Wednesday evenings once a month. The next St. Louis Angular Lunch will be next week on Wednesday, September 20, 2017 at 12:00pm. Further Beyond the Tour of Heroes – We will continue the work started by Lance Finney in last month’s Angular Lunch–Beyond the Tour of Heroes. Specifically, we will be improving the ngrx code to make it safer, terser, and more maintainable by adding immutability and ngrx-enums. 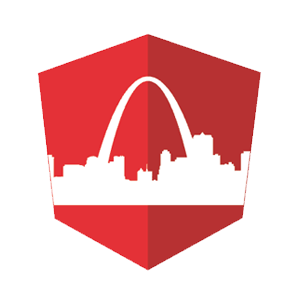 The next St. Louis Angular Lunch will be next week on Wednesday, August 16, at 12:00pm. Beyond the Tour of Heroes: Angular’s Tour of Heroes is the framework’s standard tutorial for learning how to create an Angular app. While it does a great job with lots of Angular’s features, it doesn’t set the new Angular developer up for building enterprise-scale apps. This talk will show some of the steps beyond the tutorial that would be necessary to go to the next level, including modularization, replacing Promises with Observables, and integrating @ngrx. The next St. Louis Angular Lunch will be next week on Wednesday, July 19, at 12:00pm. The next St. Louis Angular lunch will be Wednesday, March 15, 2017, at noon. Kyle Cordes of Oasis Digital / Angular Boot Camp. Oasis Digital will supply the meeting space, pizza, and projector. Please RSVP to the mailing list. It is important to know the amount of people to buy pizza for and prepare the room for. Talk about Angular, TypeScript, RxJS, and friends and competitors, each month, over lunch. Location: St. Louis, MO, USA, near Manchester and 270. Oasis Digital will provide lunch. Please proceed to the meetup group, this blog side is a legacy placeholder. Oasis Digital YouTube channel, so please subscribe there to catch them.